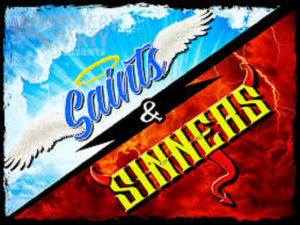 Are you a saint or a sinner? Psychologists have devoted much time over the last two decades documenting the dark side of human nature as encapsulated by the so-called Dark Triad of traits: psychopathy, Machiavellianism, and narcissism. People who score highly in these traits, who break the normal social rules around modesty, fairness and consideration for others, seem to fascinate as much as they disgust. I have blogged about the dark triad. In particular I see the dark triad as sub-traits for the Gogetter/Hustler 7MTF/Humm temperament component. This blog The Mental Illness of the Hustler explains the relationship between the Dark Triad and the Hustler in more detail. A recent blog in the Research Digest of the British Psychological Society discussed a new hypothesis that looked at those individuals who are at the other extreme, who through their compassion and selflessness are exemplars of the best of human nature? There is no catchy name for their personality traits, and while researchers have studied altruism, forgiveness, gratitude and other jewels in our behavioural repertoire, the light side of human personality has arguably not benefited from the same level of attention consumed by the dark side. The new hypothesis proposes the existence of a Light Triad: Kantianism (“treating people as ends unto themselves, not as mere means to an end”, as measured by agreement with statements like “I don’t feel comfortable overtly manipulating people to do something I want”); Humanism (“valuing the dignity and worth of each individual”, as measured by agreement with statements like “I tend to treat others as valuable”); and Faith in Humanity (i.e. “believing in the fundamental goodness of humans”, as measured by agreement with statements like “I think people are mostly good”). Unfortunately the participants’ scores on the Light Triad traits were negatively correlated with their scores on the Dark Triad traits, but only modestly, suggesting that each is not merely the mirror opposite of the other. Indeed some have put forward the argument that the Light Triad traits are merely facets of the Big 5 component of Agreeableness. It is interesting to compare how Humm & Wadsworth saw people with low Hustler. Low Hustlers are most commonly found public service institutions such as hospitals or social welfare. These people who want to sacrifice themselves for others. They are uninterested in money; they are sometimes so over-generous that they become painful to their colleagues. Sometimes the deficiency is so great that the Low Hustler suffers from the martyr complex. An example of the martyr complex is the mother who centres all her interest on her children with the expectation of total support when the children reach maturity. If you want you can find out how far you are tilted towards the Light Side by completing this simple five-minute test. I was 75% tilted towards the dark side which I would say was about right. I also think the PEQAS is much more helpful. This blog was first published on LinkedIn 14 April 2019. "Put in a sales perspective, I loved your presentation! I got a lot from what you talked about and I will read your book." - Great presentation. Very informative. Christi Spring CEO Institute. - web www.ceo.com.au. 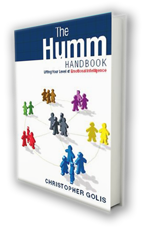 Chris Golis has written two Emotional Intelligence books that show you the practical side of EQ, and how you can use it in leadership, management and sales.